Keye Pest Control offers efficient moth control to save your belongings from the hungry fabric-eating moths. Our moth extermination services include complete eradication of moth eggs, carpet moth larvae and adults. We have excelled in carpet moth treatment and clothes moth extermination in particular. · We offer speedy moth fumigation for severe clothes moth infestation which needs immediate action. · Our services comply with COSHH (Control of Substance Hazardous to Health) regulations. · The moth pest control technician arrive with a non-branded van to your property if you demand complete discretion of the service. · You can book our first-class moth fumigation at your convenience, Monday to Saturdays, including evenings. · The moth removal expert will perform a full property inspection before starting the moth treatment, ensuring every infested area is checked. We remove clothes, carpet moths as well as wool moths. · The moth exterminator will then proceed with spraying floors, curtains, cupboards, wardrobes and skirting boards with moth insecticide. He will not spray directly on your clothes. · Keye Pest Control can also advise you on how to do an effective moth prevention that will protect your home or office from moths in the future. We recommend leaving the moth insecticide to work for at least 5 days before cleaning the treated areas. · The clothes moth larvae can eat: woollen clothing, wool rugs, feathered products, furniture, wall hangings, hats, dolls and toys, down filled quilts and coats. · Moths avoid direct light; therefore, they usually infest items, which are stored in dark places and are not moved very often. · The common larvae of the Clothing Moth can easily devour up to 12 cm of fabric per minute. 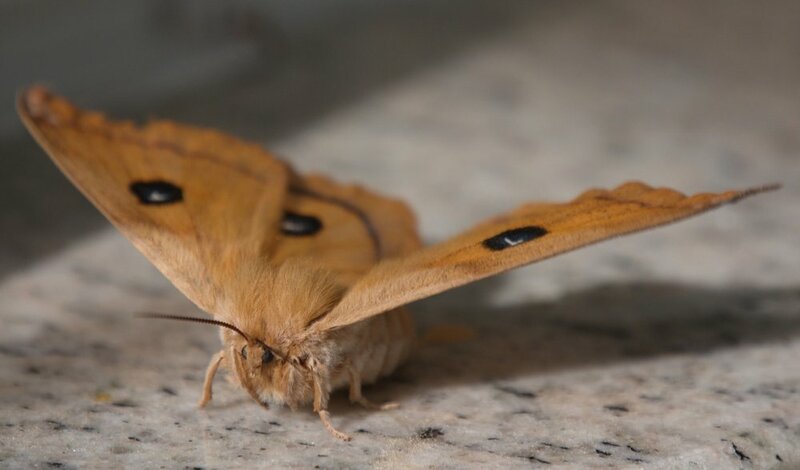 · The eggs of a female moth are stored within her body. Once the male’s sperm has successfully fertilised them, the female can proceed to lay the eggs. A single female moth can lay more than 100 eggs at once. · Moths fly at night to avoid birds. Their navigation source is moonlight. · To prevent moth infestations, you could use sachets with dried herbs like thyme, cloves, lavender, as they cannot stand their smell. Still, there’s a high possibility for the infestation to become a very serious problem.